In order to keep pace with the never ending demands of customers, we are involved into offering wide range of Heavy Duty Tarpaulin Tent. 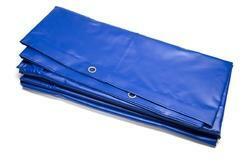 We have wide range PVC coated hanger Tarpaulins. We have 500gsm, 600gsm, 670gsm, 765gsm & 800gsm fabrics. We have Greman Machines for making Tarpaulins. We have a vast industry experience in this domain, we have been able to manufacture and supply a collective range of Tarpaulin & Plastic Sheet Storing and packaging to our treasured customers. 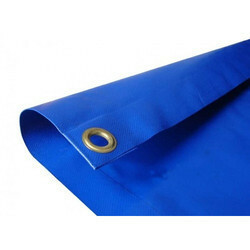 We have in stock for our esteemed customers a wide range of Heavy Transport Tarpaulins. These covers are used to completely cover the food grains in the open field. Superior quality material that is sourced from reliable vendors is used to manufacture the offered range. The company specializes in this, product which is rough & tough tarpaulin will blend in well with any outdoor setting, the colour scheme makes this range the ideal outdoor covers.